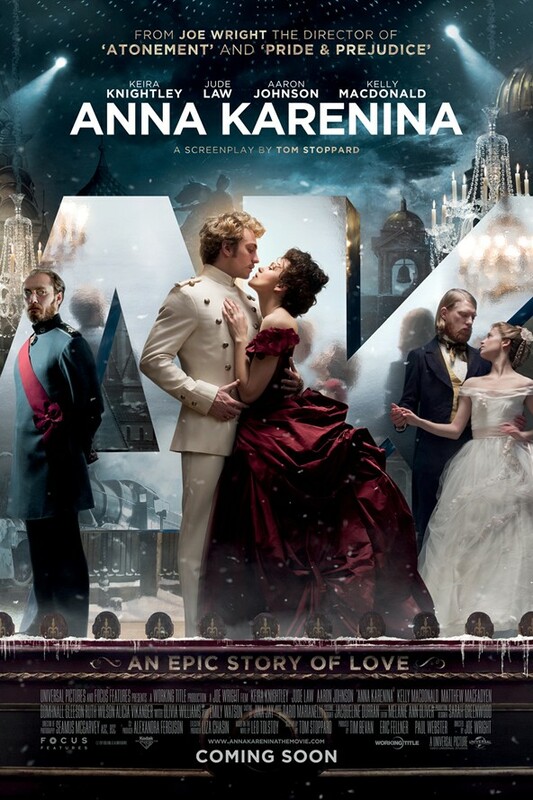 Anna Karenina by Leo Tolstoy is a great novel about love and relationship. Its about passion and duties. It is about idealism, adultry and Russia. It is also one of the greatest novel in the world which could make you think about love once again and about how people change their life. The main characters are Anna Karenina, Stiva, Alexender, Alexi Vronsky,Dolly, Levin. Anna is the wife of a minister who devoted his life to Russia, among people he is well respected, to the people he is like a saint. He is well mannered, he believes in god and forgiveness. But he was not as passionate as Alexi Vronsky who was young, who worked in military. Anna was not satisfied with her husband but she never knew that she could get what she needed untill she met Alexi in a ball. Anna came to Moscow to solve the marriage trouble between his brother Stiva and Dolly caused because of Stiva's adultry with the governess. But Anna convince Dolly to forgive Stiva and Stiva never changes. In a ball Anna met Alexi and they dance, which brings public attention because Anna was a married woman. Anna leaves Moscow and Alexi follows her to Petersburg. Alexi proposes his love and Anna could not help herself to resist the temptation of this love offered to her. Then there was nothing in morale that mattered to them, they were damned for what sweet love they had ! Meanwhile Levin comes to meet his old friend Stiva for the advice on the occassion to propose his love to Kitty, Stiva's sister in law. Levin is man of himself, he is an idealist in somethings, he is a wealthy land owner in the country area but he treats the people well. He believes in simple living but he was in love with Kitty, who was 18,beautiful, kind girl. When Levin proposed to Kitty, she said no because she hoped to marry Count Alexei Vronsky. Who fell in love with Anna. After the Levin's failure in love , he visits his brother Nikolai, who have given up all his inheritence, he was an extremist, he believed in equality of people, he also regarded a prostitute named Masha his wife who took care of his degrading health because he drank too much vodka. Nikolai even asks Levin to marry one of his peasant girl. Levin leaves the city, for which he had never much taste and returns home. He starts to work with his people and mows. Levin asks an old peasant who was owned by his father, but Levin never treated his peasants as such about how it could the grace of god that he is the master of them, Levin had his doubts about god and how he works. He buys new lands in the country. Meanwhile Stiva visits Levin at the country telling him that Kitty and Alexei are no longer going to be married.One misty morning Levin sees beautiful Kitty passing by road and returns to Moscow again to meet Kitty. Stiva arranges the meeting. Kitty says to Levin that she was foolish and silly. Kitty had changed after the heartbreak, she often talked to her sister Dolly she would never marry. But when seing Levin, as such a good man who only loved her she said Levin that she loves him. In the dinner Levin said that he believed in pure love and to love a married woman is a greed, a gluttony. People at the dinner table loughs calling him an idealist and Kitty nows falls in love with him completely. While Levin was talking about pure love, for Anna love of Alexei was all that mattered above her husband, son and society. Was there any difference between adultry of Stiva and Anna. Anna loved only Vronsky while Stiva never loved only one. But society treated Anna badly and no one talked about Stiva maybe even Anna herself convinced Dolly to forgive him before. Alexei's mother never approved of his relatipnship as no mother would, who was hoping that Alexei would marry young princess Sorokina. But this plan haunts Anna that she would lose Vronsky. This fear leads her to behave rudely to Vronsky and when Anna goes to opera, people starts to whisper about her scandals, which does eventually breaks her and when oneday princess Sorokina picks up Vronsky when his mother called for him, Anna feels like she lost him and gets frustrated by on her own, then she drinks laudanum, a tincture of opium and leaves the house and gets on train doubting his love to see if Vronsky went to see his mother or not. On the train she hallucinates about Vronsky and Princess Sorokina making passionate love. On the last station she loses her reasons and dies when she jumps under upcoming train saying god forgive me !. Meanwhile Levin marries Kitty and takes her to country estate, where he finds his brother Nikolai and Masha staying there. Levin fears that Kitty would not like Masha staying there because she comes from such elite family. But what Kitty did was very surprising.She helped Masha in nursing Nikolai without hesitating which showed how great woman she was even though she came from such rich family. One day mowing the field, Levin asks the old peasant about how does someone knows what is rightly. The old peasant says that one just knows it. Levin tells him that he believe in reasons, then the old peasant asked Levin about what reason he chose his wife. Then Levin realizes something and comes home, holds his baby and tells Kitty he understands. Kitty asks, "what do you understand ?" Levin says nothing.